BRECKENRIDGE – Steven H. Carter – the man accused of stabbing a woman before turning the 12-inch kitchen knife on himself last November – asked for more time to decide on an offered plea deal Monday. Carter now has until March 22 to file motions on how he wants to proceed. Carter, 31, has been incarcerated in Summit County Jail since he was released from the hospital. 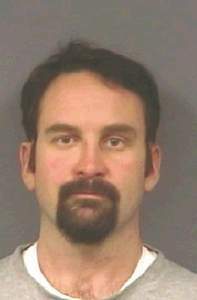 He and a 44-year-old woman were found unconscious in a pool of blood outside a residence in Illinois Gulch near Breckenridge on Nov. 25. According to Carter Monday, he has “little to no memory of that night” and he asked if he could plead “no contest.” This was denied by District Judge Terry Ruckriegle. Carter’s attorney JB Katz also said she’d like to have Carter’s mental health evaluated. According to Katz, the victim was unable to attend the hearing, but she sent a letter to Ruckriegle asking that Carter get less jail time (0-5 years) instead of the maximum sentence (10-32 years). Katz also asked that the victim be able to have written contact with Carter, and verbal contact with his family regarding financial issues. Ruckriegle denied the request to have contact with Carter, but said the victim could have contact with the family – she can’t discuss the case, only finances. Another issue discussed at Monday’s hearing with Carter’s felony DUI in California, and whether or not he’ll be extradited. This will be discussed further at future hearings. Carter’s next hearing is set for March 29 at 10 a.m.
After this story ran in print, the victim contacted the Summit Daily and said she is actually only comfortable with a minimum 5-year sentence, no less.